Clearly they are not to the gulls’ taste. 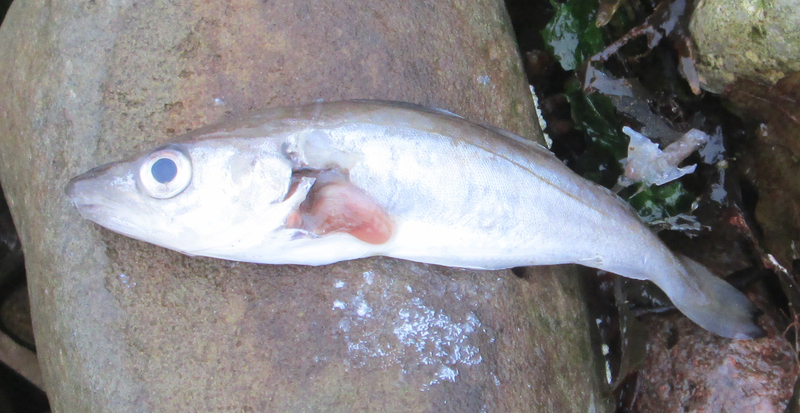 There was an otter along the shore this morning this morning though they did not seem to his taste either. 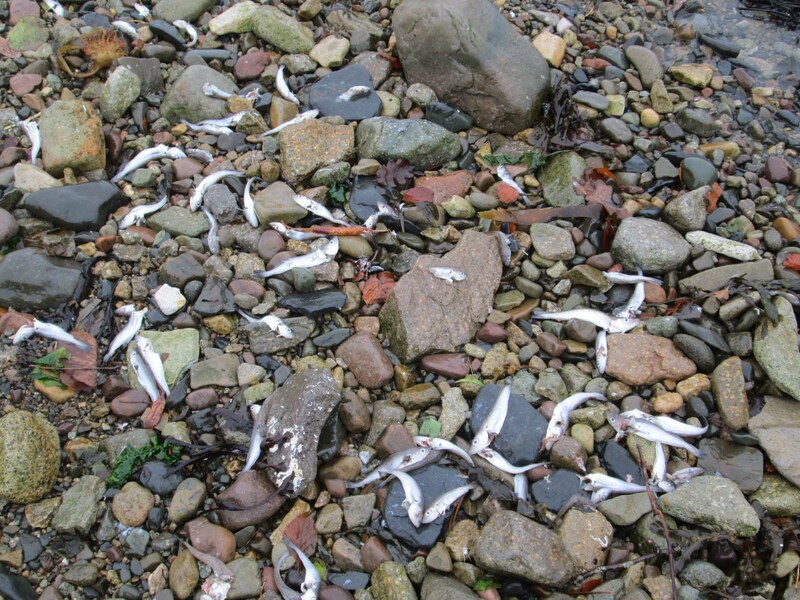 Thanks to Aisling Smith of the Marine Biological Association for the i.d. 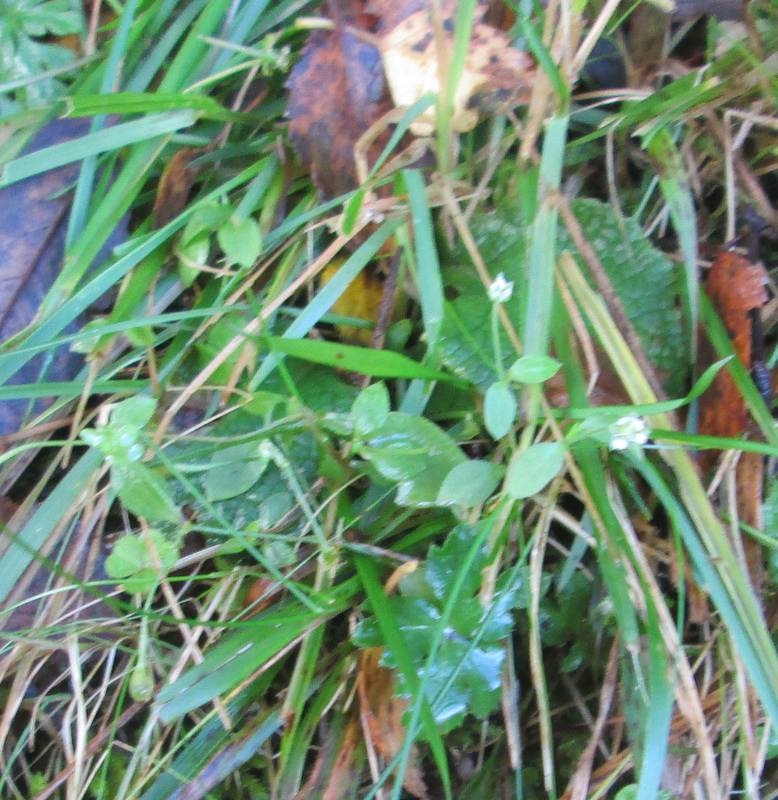 Along the road not far from home today I spotted a good clump of Stellaria graminea (Lesser Stitchwort) in the same spot as I saw it three years ago. This may be the only extant specimen on Raasay. A little farther on was a single plant of Tropaeolum majus (Nasturtium) with flowers still on it – despite a frost last week. This garden escape/throw-out is a first record for VC104. There is a 2004 record from Barra which lies in Plant Hardiness Zone 9a with average winter temperatures that this plant is expected to survive. 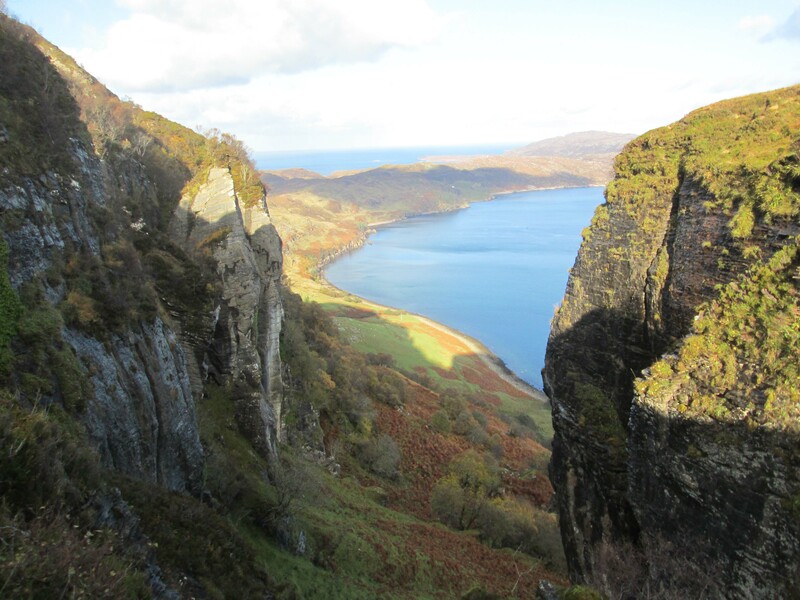 Raasay lies in the next zone, 8b, so it will be interesting to see how it does. See Plant Hardiness Zone Map of the British Isles. About ten days ago Helen & Kate found a single specimen of Prunus padus (Bird Cherry) in Raasay SSSI near Screapadal whilst undertaking woodland condition monitoring. Yesterday I went to try and find it but failed. In between their visit and mine the storms had removed most of the leaves from most of the trees, which didn’t help. I shall have to have another try in the flowering season next year. However, it was an interesting day…. 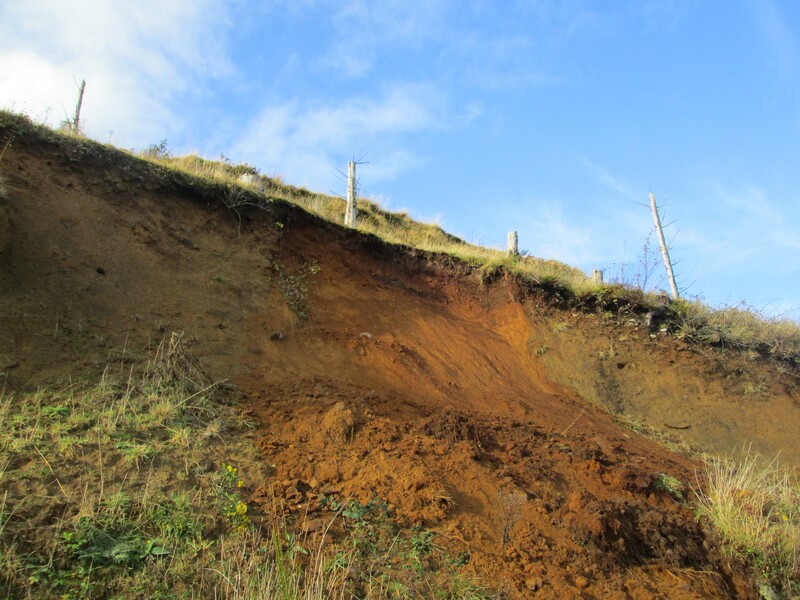 on my way to Screapadal I watched a small landslip from the first few pebbles to the more serious lumps of ground falling just above the path. I was too slow getting the camera out to take a video. 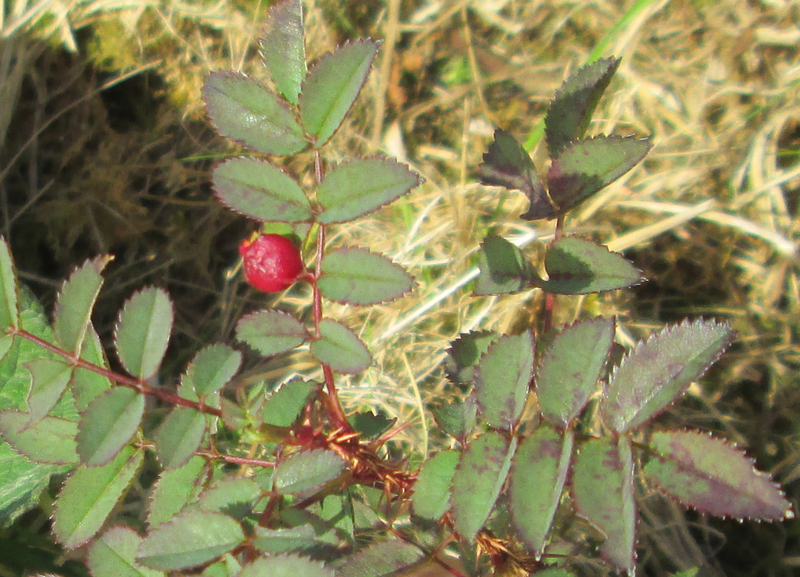 This plant is known from a number of sites on Raasay and Eigg and there is an old record from Rum, but it has never been recorded on Skye. 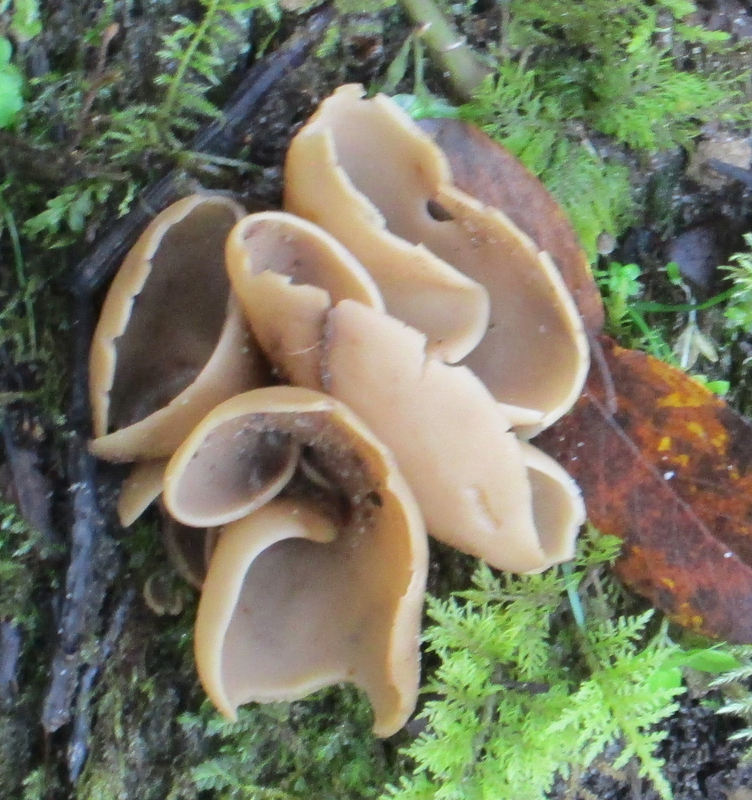 and there were good fungi about. 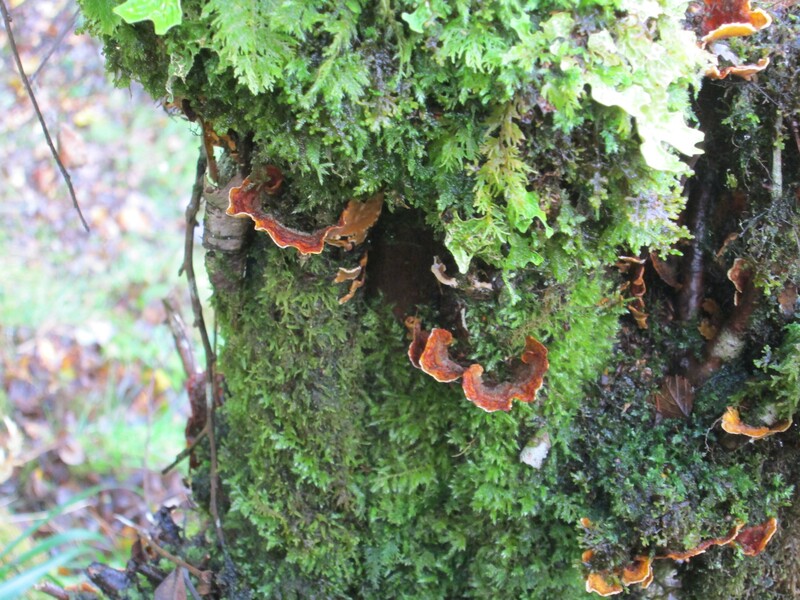 Bracket Fungus – awaiting help with i.d. 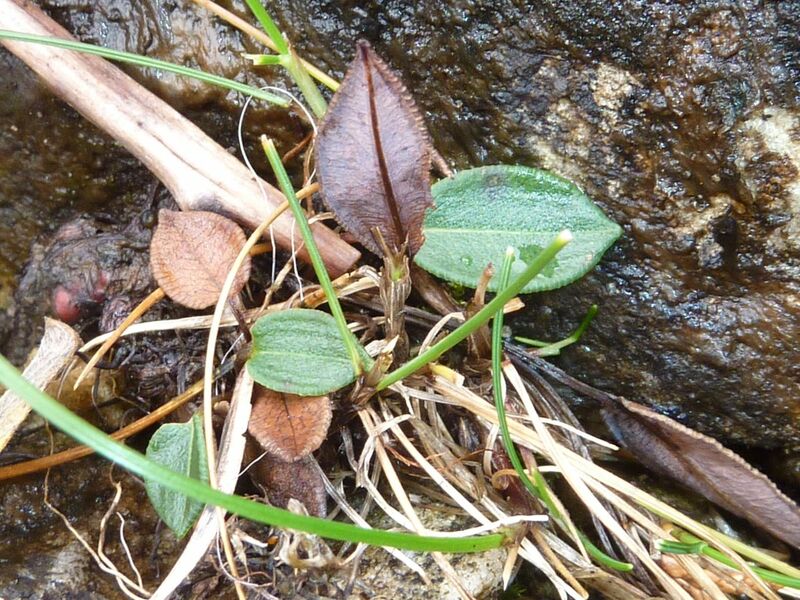 But with a little help from my friends (Thanks Lynne & Carl) I have decided that it is Persicaria vivipara (Alpine Bistort) with unusually broad basal leaves. They are unretouched – the sand really is black and the spume white. Later: Julian tells me that he used the sands on an album cover Written in Sand. Keith, who identified it for me says “the Latin name gives a more accurate count than the English one”. 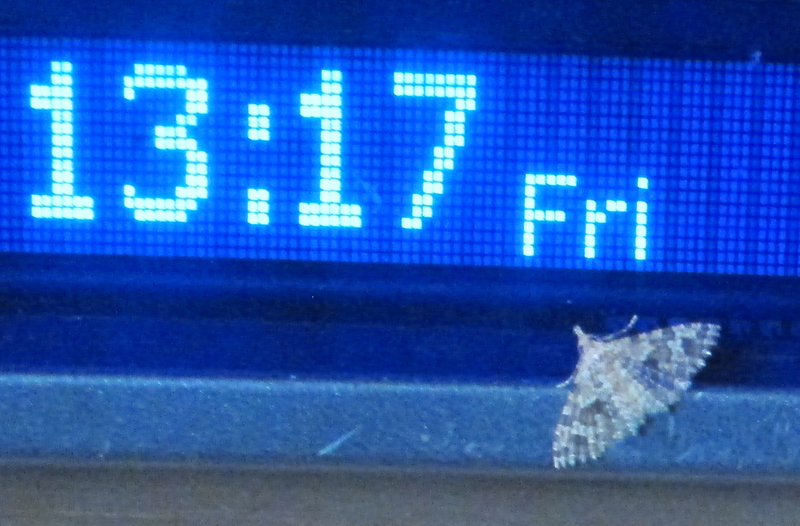 An example of a micro-moth attracted to a micro-light? Attracted to the light-emitting diodes, anyway. Sadly, I can’t make it. For those who do not know, you are very welcome to join the the 2014 BSBI / BSS* Scottish Annual Meeting to be held at Royal Botanic Garden Edinburgh on Saturday 1st November. There is a full and varied programme of talks and interesting exhibits and posters. Our main speaker is Professor Jonathan Silvertown, the man who developed iSpot, who will give a talk entitled “Re-inventing botany in a networked world”. 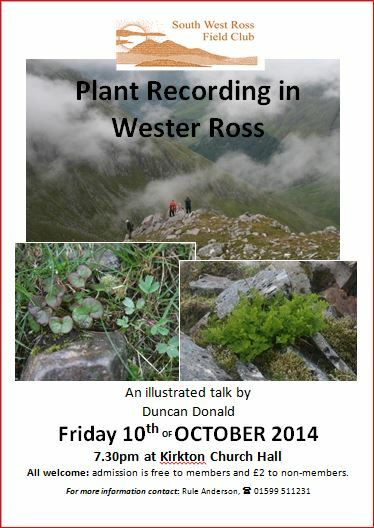 Everyone with an interest in Scottish botany is very welcome. Click here for further information, booking forms and to pay online if you want dinner. As well as my own activities, Deirdre directed me to a new site for Carex paniculata (Greater Tussock-sedge) in an otherwise unexciting area of moor – a strong healthy group of large tussocks, better than anywhere else currently known on Skye. Morag has found Centaurium erythraea (Common Centaury) by the Varragill River south of Portree – a long way from any previously known site. 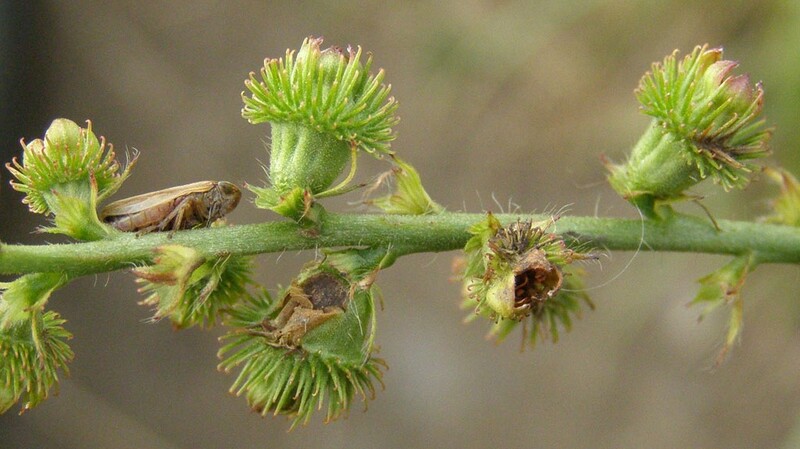 Marion added a new site for Lycopus europaeus (Gypsywort) near Greep. Other notable finds include records for Drosera x obovata (Obovate Sundew (D. rotundifolia x anglica)), Lycopus europaeus (Gypsywort), Myosotis scorpioides (Water Forget-me-not) – a plant much over-recorded in the past, Sparganium erectum (Branched Bur-reed) – a plant much under-recorded until recently, and Utricularia intermedia sens. lat. (Intermediate Bladderwort). The froghopper has been identified by Stephen M. as Philaenus spumarius, the bug whose nymphs produce cuckoo-spit.